Zika virus is a mosquito-borne disease that is spread through mosquito bites. The mosquito species that transmits this virus is called Aedes and it is the same species that also carry diseases such as Dengue and Chikungunya. Aedes mosquitoes become infected when they bite a person that already has the Zika virus in his or her system. And then when the infected mosquito goes to bite its next target, it transmits the Zika virus further, continuing the spread of the virus. Since there also isn’t a vaccine yet to prevent the Zika virus, it is recommended (especially to pregnant women) to either avoid traveling to the countries where Zika virus has been confirmed all together or to avoid getting bitten by mosquitoes while in these countries. 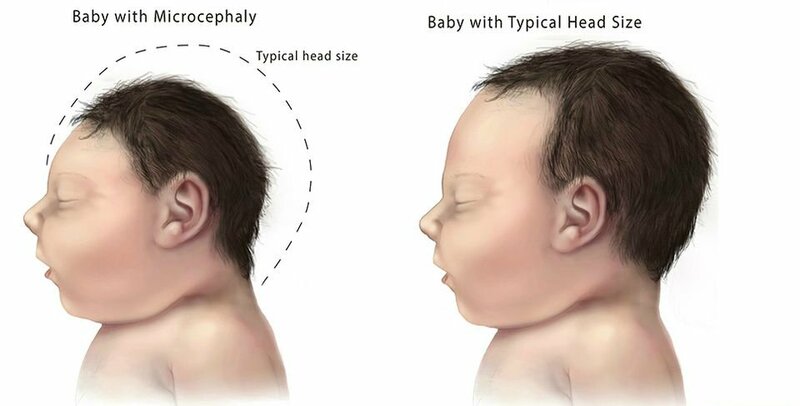 Right now scientists are working to determine if there is a link between GBS and microcephaly and the Zika virus, and also to develop a treatment and vaccine for this terrible virus, so once there is news we will update this article with the newest information. Infographic – How to protect yourself against mosquito bites and Zika. What is Zika virus and how to treat it? Zika virus originally comes from Southeast Asia and Africa regions, because it was first found in 1947 in monkeys that lived in Ugandan forest called the Zika forest, from where the virus got its name. And since 1952, when the first human case of Zika virus was identified, a few cases of Zika virus had been found all over the world. 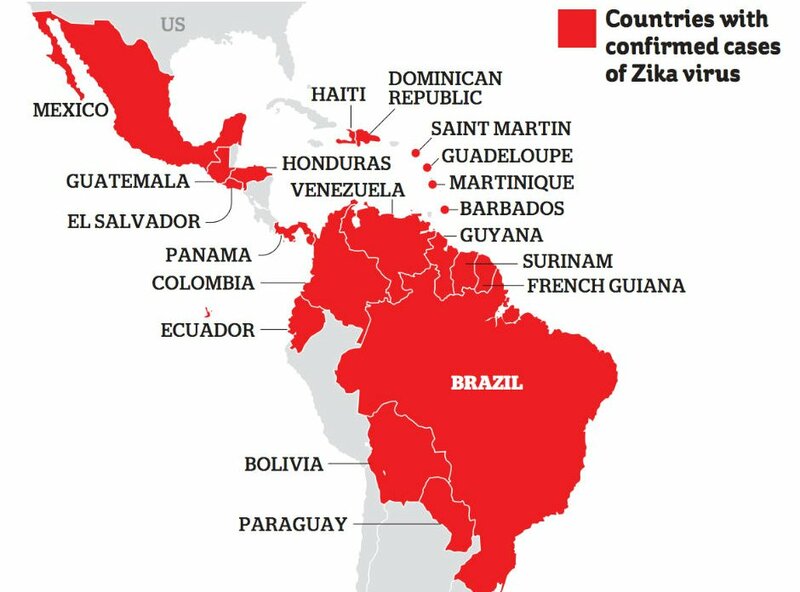 But recently there has been a new surge in Zika virus cases in South and Central American regions. Countries such as Brazil, Colombia, El Salvador, Puerto Rico, The Dominican Republic, Mexico, Pacific Islands, the Caribbean and several other of those regions have reported a few thousand cases of Zika virus each, with these numbers only growing, which leads us to say that these regions are the epicenter of Zika virus. And as the Zika virus slowly spreads from South and Central America to North America, because recently there have been more and more Zika virus cases in the U.S., people should take extra precautions so they don’t get infected with this virus. The main symptoms of this disease are rash, headaches, fever, joint pain as well as a condition that is known as conjunctivitis and that presents itself as red eyes. However, because the symptoms of Zika virus usually aren’t severe, it can be hard to identify them. In fact, about 4/5 of all people who have Zika virus don’t even notice the symptoms and therefore probably don’t know that they have it. Zika virus symptoms usually last for at least several days and up to a week, so if you live in one of the regions affected by Zika virus and you have had these symptoms for several days now, there is a possibility that you could be infected with Zika virus. Unfortunately, a specific treatment for Zika virus is yet to be developed, so for now, the treatment of Zika virus, once it is diagnosed, consists of symptom treatment. Usually, doctors recommend rest, drinking a lot of fluids and taking fever and pain relieving medication. But keep in mind that the pain relievers shouldn’t be so-called non-steroidal anti-inflammatory drugs or NSAIDs like aspirin, ibuprofen or naproxen, because they can increase the risk of bleeding in case the Zika virus turns out to actually be Dengue fever. Because the Zika virus is a Flavivirus genus virus, it means that it is small enough to be transmitted by infected mosquito. Cases, when humans spread the virus further to other humans through blood, are very rare, with the exception of pregnant mothers, because research suggests that Zika virus quite easily can be transmitted from the mother to the unborn child during pregnancy. And even though it is not yet proven, Zika virus also is linked to birth deficit in newborns called microcephaly, a condition where babies are born with smaller heads leading to cognitive problems, because there have been multiple reports of babies born with this condition or other problems, when the mother had been infected with Zika virus during pregnancy. Another disease that is thought to be caused by Zika virus is the Guillain-Barré syndrome or GBS – a disorder where the immune system damages the nerve cells, causing muscle weakness and sometimes even paralysis, because, similarly to microcephaly, recently there has been an increase in cases of this illness in the same regions where there is Zika virus outbreak. Zika virus is carried by mosquitoes of the Aedes genus. Species like the Aedes aegypti or the yellow fever mosquito that is found all over the U.S., Aedes albopictus a.k.a. Asian tiger mosquito, that is also very common to the U.S., Aedes polynesiensis or the Polynesian tiger mosquito, that you can meet in the South Pacific region and the Aedes rusticus that is common in most of Europe, are only a few of the Aedes species mosquitoes that can carry Zika virus as well as Dengue fever, Yellow fever and Chikungunya virus. So you should know more about the mosquitoes themselves to be able to avoid them. The Aedes genus mosquitoes can be visually distinguished from other types quite easily because all Aedes mosquitoes have darker, almost black bodies and legs with white striped markings on them. No wonder some of these mosquitoes are dubbed as Tiger mosquitoes because their appearance resembles that of a tiger. But visual differences are not the only thing that differs the mosquitoes of Aedes genus from other ones, they have significant behavioral differences too. Most mosquitoes are typically more active during sunrise and sunset hours, and also during the night, letting us enjoy daylight mostly without their presence. But Aedes mosquitoes are more active during the daytime as well as just after the sunrise and just before the sunset making them more dangerous to humans, as people also tend to spend their time outdoors while it is light outside. On top of that, Aedes mosquito species also tend to prefer human blood over animal blood or plant nectar, so if you will be close to where the Aedes mosquito is, it will most likely try to bite you. Speaking of places, historically Aedes mosquitoes were first discovered in Africa, where they lived in more tropical regions. However, since then, they have adapted to liking cooler climates, too, eliminating their need of a warm climate to survive, which is why you will probably be able to find one of the Aedes genus mosquito species all over the world. But this adaption has changed not only where Aedes mosquitoes tend to hide but also where they breed. Female Aedes mosquitoes lay their eggs at water level or just above it in any standing water that will be close to the place where mosquitoes live. 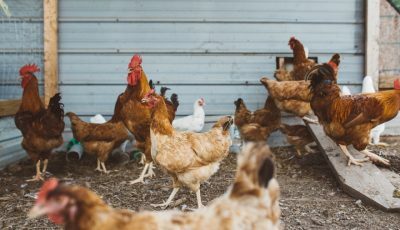 So you will be able to find Aedes mosquitoes and their larvae in woodland and coastal areas, pastures, as well as in cities and other places, because stagnant water is available everywhere. And there are even some cases when Aedes mosquitoes lay their eggs on dry ground since the mosquitoes of this genus are one of the rare ones that over-winter their eggs, making them universal, can-be-found-everywhere mosquito species. And unfortunately, to us, Aedes mosquitoes live quite long, too. Once the temperatures become warm enough for mosquito larvae, the eggs hatch. Then in a mere 10 days, the new mosquitoes will be mature and ready to create its offsprings. And if their life cycle is not disturbed, they can survive for months, continuing to breed and spread viruses if they are infected. 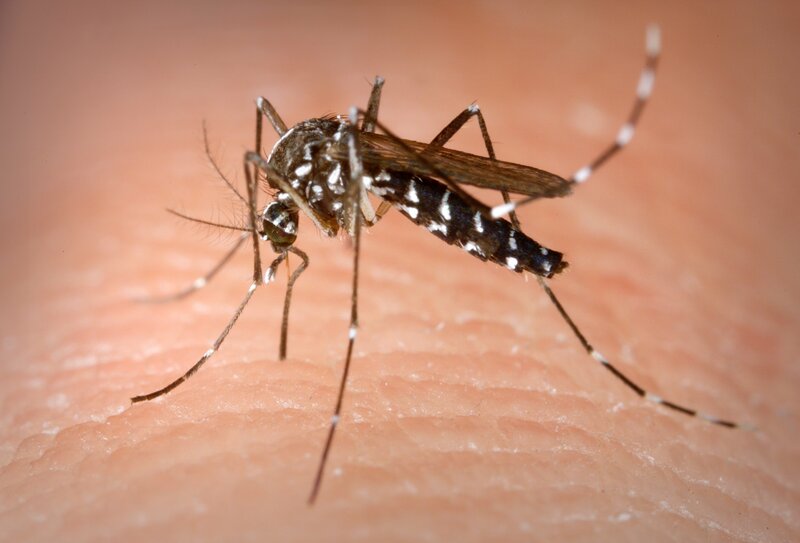 Not only that, but several species of Aedes mosquitoes are also known to be able to travel up to 10 miles, so they even can venture to new areas and therefore spread in new areas too, after which they will lay low in dark corners and cool, shaded places like under your furniture, waiting to bite you. Because Zika virus is carried by these Aedes genus, it is a cause of concern for many scientists, because mosquitoes of this genus is not only a mosquito species that can be found almost all over the world, so the spread of Zika virus can be quick, but it also is a species that carries virus type that is called the arbovirus, which is a highly adaptable virus that will evolve and change based on ecological factors as well as human behavior and that can lead to new and more dangerous strains of Zika virus. Luckily for us, there are few living creatures that eat mosquitoes and can help us get rid of at least a few of them. Birds like purple martins, gees, and swallows eat mosquitoes as a part of their daily menu, also fish species known as the mosquito fish too loves to snack on mosquitoes and more specifically on their larvae, effectively limiting the number of mosquitoes that are born anew, also the red-eared slider turtle loves to eat mosquito larvae and even a few amphibians and other insects like Green Tree Frog, Spade Foot Toad, Dragonflies and Crane flies will be keen on having mosquitoes among their delicacies. Now that we know what Zika virus is and which mosquitoes to avoid if we don’t want to get infected, we should also figure out what exactly attracts mosquitoes, to better avoid them. The main thing that attracts mosquitoes is carbon dioxide. When we breathe, we inhale oxygen, but when we exhale, we breathe out CO2 or carbon dioxide, which is why they so easily can find their human and animal targets. In fact, thanks to a specific organ called maxillary palp, mosquitoes are able to sense CO2 even from as far as 150 feet (45 meters), so the more we create carbon dioxide (the more we breathe and the faster we do it), the quicker mosquitos will be able to find us. The second substance that is found in our bodies and that is very attractive to mosquitoes is lactic acid. We release lactic acid when we exercise and sweat, so the more we sweat whether during a workout or just because of a hot summer day, the easier it is for mosquitoes to find us. Combine that with the heat that our bodies radiate when we are hot and the sweat that is produced by our bodies when we feel hot and you get a combination that will be sure to attract these annoying insects. How to avoid this? There really is no way to do it. Just make sure that you shower with soap and that should make you a little less attractive to mosquitoes. On top of that, artificial things like fragrances and skin care products also tend to attract mosquitoes. Especially if these products contain lactic acids or are made to have a very flowery or fruity scent, you should definitely think of replacing these products at least in the summer to not draw more attention to yourself from mosquitoes. And lastly, even as simple of a thing as dark clothing will attract mosquitoes too. Mosquitoes mostly rely on their other senses to find their targets, but sometimes they use sight too, to find their victims. And since dark clothing naturally absorbs more heat, it will seem more attractive to mosquitoes and they will go for the person in the darker clothing (if all other attractants would be in an equal amount) instead of the one in a light outfit. How to protect yourself from mosquito bites when outdoors? 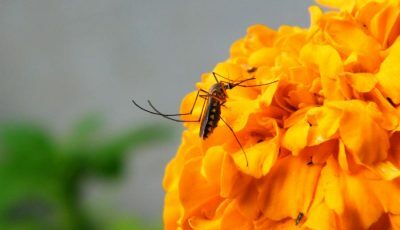 So first and foremost, to avoid getting bitten by Aedes mosquitoes you should wear light-colored clothing that preferably is long enough to cover your legs and arms completely to further ensure that a mosquito doesn’t get to bite you. And you should also avoid using any products that have lactic acid in them or that have an overly sweet scent, because this way you will at least ensure that you aren’t more attractive to mosquitoes than others around you, limiting the chance of mosquito actually biting you. But these tips aren’t a sure thing in the world of mosquito protection, because you should implement additional ways of protection to reduce the chance that a mosquito will bite you while you spend time outside. One of the most obvious, as well as the most efficient thing you can do to protect yourself from mosquitoes when you are outdoors, is to always use some kind of insect repellant. There are many types of mosquito repellants but I will break them down in two categories. The first and most common type of mosquito repellants is artificial insect repellants. As you can guess, these repellents are not made from natural ingredients and often consists of chemicals, however, they are very efficient and will keep the mosquitoes away. They usually come in spray or aerosol form and therefore are not only efficient but also easy to use. Three of the most common chemical insect repellents are DEET insect repellants, Picaridin repellants, and Permethrin ones. DEET is the acronym for an active ingredient called N, N-diethyl-meta-toluamide, and it is the most popular active ingredient in many insect repellant products. Although DEET is a popular and efficient way how to make yourself less visible to mosquitoes, there is still a discussion on whether DEET is safe enough to use for humans, however, as of now, there isn’t any concrete proof that would suggest that DEET is extremely harmful to us. Picaridin is a mosquito repelling ingredient that in its efficiency rivals DEET, because it, similarly to DEET, will keep the mosquitoes away, but won’t leave an oily residue on your skin like DEET often does. On top of that, Picaridin by itself also is a little milder than DEET, which means that it probably is better for us and also there is no chance that it will damage our clothing or other materials like DEET is known to do. 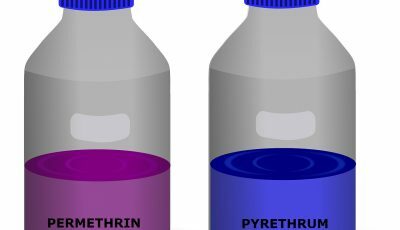 But Permethrin is a bit different than previous two insect repellents because Permethrin needs to be applied on clothing rather than skin. And because you shouldn’t apply Permethrin on your bare skin, it means that it is a bit stronger than other artificial mosquito repellents and that it will also stay on your clothing even for a couple of weeks to a month. Permethrin bonds with the material on which you spray it on, and continue to work for quite some time. But artificial repellents aren’t the only thing you can use to keep the mosquitoes away, because nowadays many natural repellents are also effective, and they possess fewer risks to your health and aren’t likely to cause an allergic reaction. The substances that let these natural mosquito repellents to be efficient are oils like citronella oil, lemon eucalyptus oil, tea tree oil, rosemary oil, lavender oil, soy oil, and multiple other oils. And they are efficient because the plants that they are made out of naturally are good mosquito repellents, but since oil is a more concentrated form of those plants, they also have very good mosquito repelling properties. These natural mosquito repellents come in multiple forms, from regular spray form mosquito repellents to mosquito soaps that you can use in the shower and oils that you dab on your pressure points and that make you invisible to mosquitoes, to even candles that you can burn on your dinner table and enjoy a meal outside. And the best part of natural mosquito repellents is that they usually smell pretty good, which is hardly ever the case with artificial mosquito repellents. How to use mosquito repellents right, so they provide the best protection and last the longest possible time? Well, there are multiple things you should remember when you use a spray or aerosol mosquito repellent. First and foremost you need to read the labels of the insect repellent you purchase because no two insect repellents are the same and the manufacturers on their labels include instructions how and when to use the particular mosquito repellent, which will most likely be the best way to use that repellent. The second thing to remember when applying bug spray is to apply it thoroughly. Many make the mistake of putting on a mosquito repellent only to their arms and legs, leaving other exposed areas like face and neck unprotected. So be sure to cover all of the areas that your clothing doesn’t cover to make sure that mosquitos cannot find your skin and bite you. If you want to apply mosquito repellent to clothing instead of your skin, then chose one that has Permethrin in it instead of DEET or Picaridin based bug sprays, because this way the repellent will stick to your clothes for a much longer time and will actually protect you from mosquitoes and often other bugs and insects too. Then make sure that you don’t spray the repellent on open wounds or in your eyes or mouth because that can be very irritating as well as even dangerous to spray these delicate tissues with any mosquito repellent. So to safely douse your face in mosquito repellent, I would recommend to first spay the liquid on your hands and then gently apply it on your face similarly as you would with a cream. This way you will protect your face from mosquito bites but at the same time will protect your eyes and mouth from mosquito spray too. Then when you return indoors and you won’t need the protection against mosquitoes anymore, make sure you wash all the places where you applied the repellent to avoid it sitting on your skin for too long and starting to irritate it. Most insect repellents are not only safe for adults but also safe for small children and pregnant women, because they aren’t potent enough to harm them. But if you want to be sure that you won’t be harming your kids or doing damage to your unborn child, then read the label of the mosquito repellent or just use a repellent that is based on more natural ingredients like essential oils. Also when you put a bug spray on children, I would suggest to first spray it on your hands and then apply it to the child’s skin, because this way there is a smaller chance their skin will become irritated, but they will still receive the benefits from a mosquito repellent. How to protect your indoors space from mosquitoes? Another aspect you should think about in regards to protection from mosquitoes is how to protect you indoors space from mosquitoes because it is also important to keep mosquitoes out of your house and room so they cannot attack you there. The general tips for indoors protection is to close all windows and doors to outside, especially in the evenings and early mornings, because this is the time when all mosquito species are the most active and will be more likely to fly indoors in search for a meal. But if closing doors and windows is not an option as it can be in the summer, you can use mosquito screens to keep the pesky insects away. 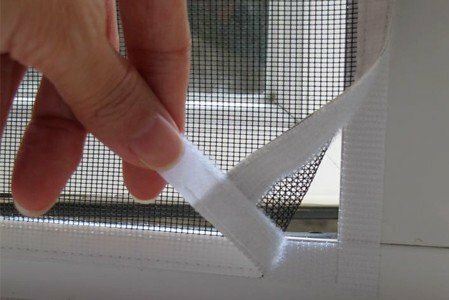 Mosquito screens are large screens made from mosquito netting that you can place in front of your windows and doors to keep mosquitoes and other insects out of your house but to still be able to keep the windows open and let in fresh air. If you are not keen on the mosquito screen idea, another option for you is to install a mosquito net that will at least protect you from mosquito bites while you are sleeping, as that is the time when you are an easy target to mosquitoes. Mosquito nets usually are simple nets that are hung over your bed or any other place where you spend a lot of time, keeping insects away from you and you safe from getting infected with one of the many diseases that mosquitoes carry, including Zika virus. Also you can always use things like spray repellents and spray your windows and doors, burn mosquito repelling candles or even try mosquito zappers that are devices which use ultraviolet light to attract insects and then kill them using an electroshock, or mosquito traps that consists of substances for mosquito attraction and kill the mosquitoes once they are trapped inside the device. However, not all of these devices and mosquito repelling options are that efficient. The truth is that every mosquito repelling method have some flaws. For example, bug zappers along with mosquitoes can zap also some beneficial insects like bees, as well as some of these zappers are great at attracting mosquitoes but not so great at killing them. The same can be said for mosquito traps, especially homemade ones, and mosquito candles because these scented candles actually can increase the number of mosquitoes in your area. So which are the best ways to protect your home from mosquitoes? I would say that the best way to keep the mosquitoes out of your house is to use previously mentioned screens and mosquito nets because they ensure that mosquitoes don’t get in your house in the first place and therefore they cannot bite you. How to keep your backyard mosquito free? But there is one other option to ensure that mosquitoes not only aren’t in your home but also aren’t found in your backyard where you spend most of your outdoors time. 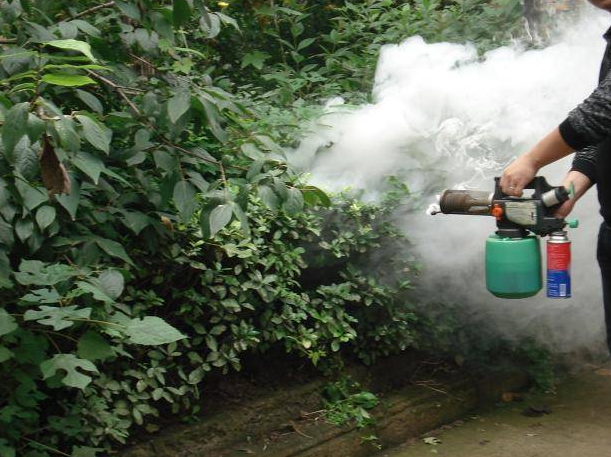 And this option is to use a mosquito fogger and spray the perimeter of your backyard and around your house. 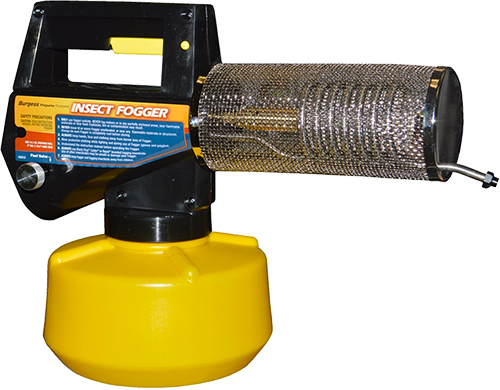 Mosquito fogger is a device that turns insecticide into thick smoke that coats the area where you spray it with insect repellent, hiding it from mosquitoes and killing those that come in contact with this fog, which in return will guarantee that mosquitoes aren’t found in your yard. The great thing about mosquito foggers is that not only their effect lasts at first for couple of days, but after few continuing springs even weeks, but the fog also doesn’t leave any residue in the places where you sprayed it, letting you fully enjoy outdoors and keep the windows of your house open without worrying about mosquitoes coming inside and bothering you indoors too. In addition, if you want to rid your backyard of mosquitoes fully, with no chance of them returning, you should also dump all the standing water in your approximate area. Most mosquitoes, including the Aedes genus ones, breed in stagnant water, and usually they don’t differ if it is a pond, old tire with rainwater collected inside or a bucket that you forget to put back into your shed. So make sure that you eliminate as much of these standing water sources as you can, so mosquitoes don’t have a place to breed in your yard, prompting them to move on to another area with good breeding grounds. Of course, there are bodies of standing water that you just cannot simply drain like pools, but that doesn’t mean that you need to leave them open to mosquito breeding. You can mosquito control products called mosquito dunks in this water. 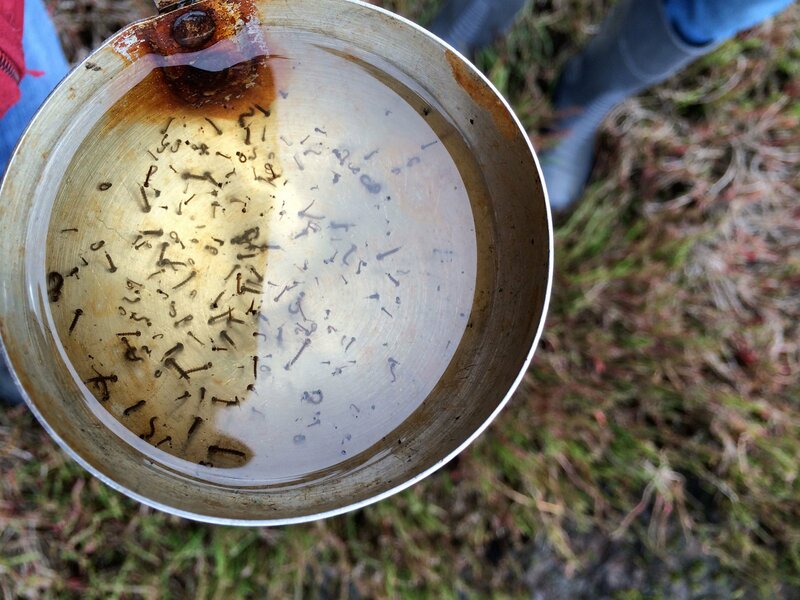 Mosquito dunks are little circles that are infused with larvicide, and once they are put in the water, they release this larvicide efficiently killing mosquito larvae. 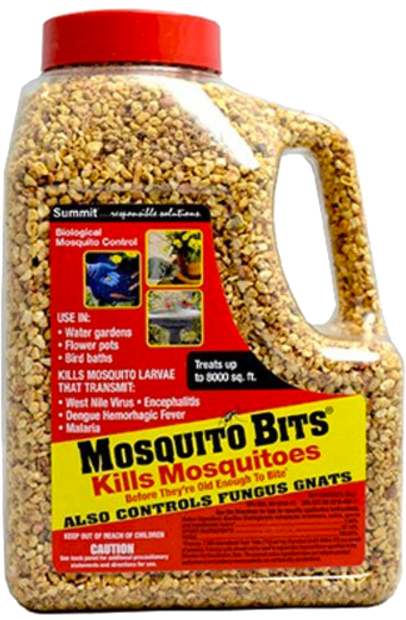 But even though this larvicide is deadly for mosquitoes, it is totally friendly and safe to the environment, animals and even humans, letting you have mosquito free area and still enjoying your pool, pond or any other bigger body of water. 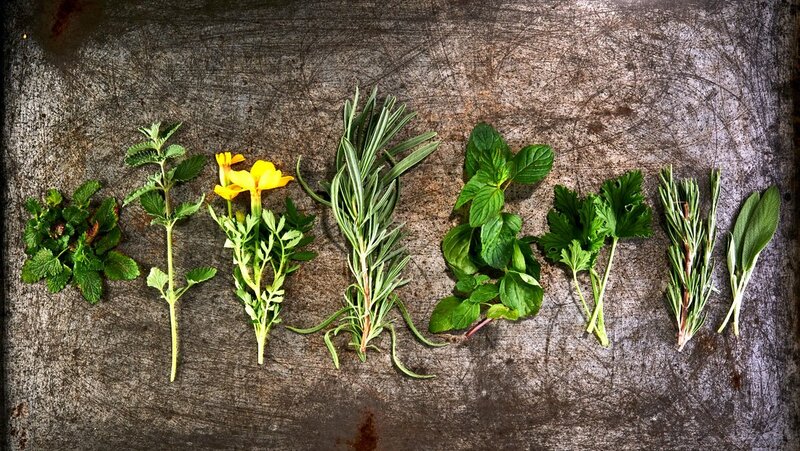 And lastly, you can even plant some catnip, peppermint, marigolds, lavender, and basil around your property, because these plants are natural mosquito repellents and will help you to keep mosquitoes away, so you can live your life without worrying about mosquitoes and the diseases they have the ability to infect you with.